Shoreham is a village on the North Shore of Long Island in the Town of Brookhaven in Suffolk County, New York. 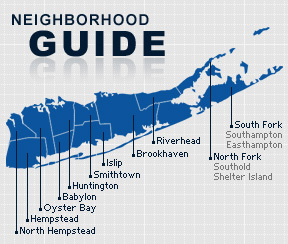 The village is served by the Shoreham-Wading River School District. Nikola Tesla, a Serbian-American inventor and radio pioneer, built the Wardenclyffe Tower in Shoreham in 1901, intended to provide trans-Atlantic commercial communications. The tower was dismantled in 1917. After a huge display of public disapproval, the proposed Shoreham Nuclear Power Plant was never built. That was the last attempt to build a nuclear plant on Long Island. Today the region is powered by a coal-burning plant. According to the 2010 census, the population of Shoreham is 6,344. The median household income is listed as 142,763.